30"x40" Oil on Canvas Deb's thoughts: They are pink, they are shabby and they are wonderfully chic! 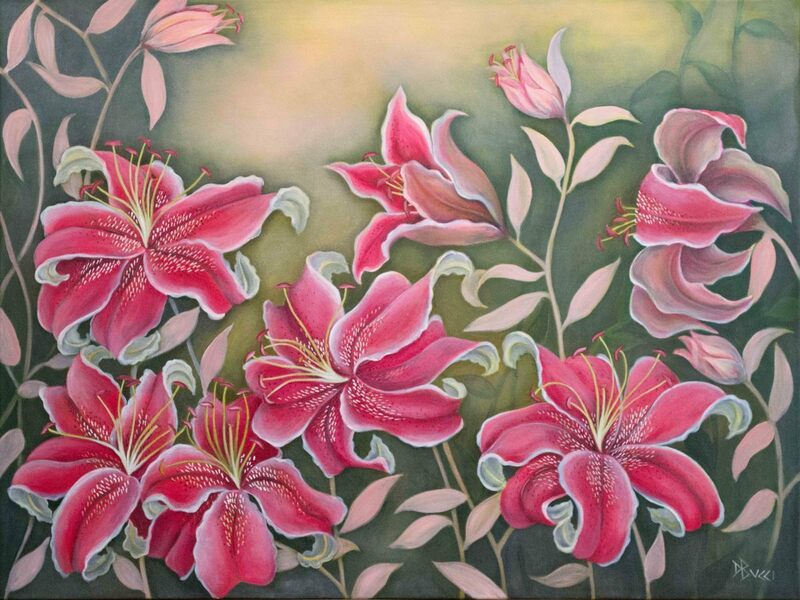 The perfect balance of soft and soothing with uplifting and energized, this garden of lilies is calling your name. All artwork is completed with museum quality varnish and ships ready to hang.